Mitsubishi Heavy Industries, Ltd. and the Japan Aerospace Exploration Agency (JAXA) successfully launched the H-IIA Launch Vehicle No. 26 (H-IIA F26) with the Asteroid Explorer “Hayabusa2″ onboard at 1:22:04 p.m. on December 3, 2014 (Japan Standard Time, JST) from the Tanegashima Space Center. The launch vehicle flew as planned, and at approximately one hour, 47 minutes and 21 seconds after liftoff, the separation of the Hayabusa2 to earth-escape trajectory was confirmed. 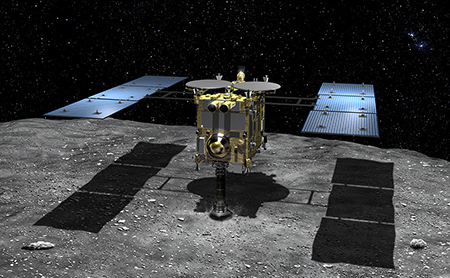 The Asteroid Explorer “Hayabusa2″ is a successor to the “Hayabusa”, which verified various new exploration technologies and returned to Earth in June 2010. The “Hayabusa2″ is setting out on a journey to clarify the origin and evolution of the solar system as well as life matter. 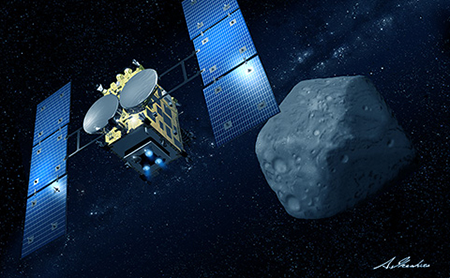 The “Hayabusa2″ will find out more about the world.